What is the Last Secret to Be Revealed Before the Messiah? [WATCH] - Breaking Israel News | Latest News. Biblical Perspective. When the Temple was still in service thousands of years ago, music was an essential aspect of serving God. That sacred music, sent into exile along with the Jewish people after the destruction of the Second Temple, has been lost for 2,000 years. Today, one man is working to bring back that music, the return of which was predicted by a great Jewish sage to be the last step before the Messiah. Music has always been a way of connecting to God, ever since the first musician, Jubal. When the Children of Israel witnessed the splitting of the Red Sea, Miriam the prophetess picked up a tambourine and led the entire nation in a song of praise (Exodus 15:2). Saul encountered a group of prophets who used music to connect to God (I Samuel 10:5). Isaiah composed songs, and Ezekiel prophesied about one “who has a pleasant voice and plays well on an instrument”. And of course, King David, the Biblical rockstar, gave us the official Temple song book: Psalms. The Temple was the heart of the Jewish People and music was at its core. According to the Talmud (Jewish oral law), the regular Temple orchestra consisted of twelve instruments, and the choir of twelve male singers. Temple musicians were selected from the tribe of Levi. The Zohar explains that the Levites were selected to sing in the Temple because the name Levi means to accompany, and their music would cause other to come close to God. Levitical singers went through a training period from the age of 25 to 30 and usually participated in the Temple service between the ages of 30 and 50. Young Levites often joined the choir to “add sweetness to the sound” but were not permitted to stand on the same platform with the adult Levites (Talmud Erchin 2:6). When Israel went into exile, so did the music. When the Jews were captive in Babylon, musicians hung up their harps and refused to play. 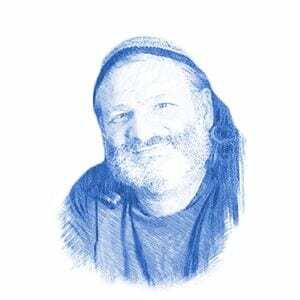 Rabbi David Louis, an accomplished musician, is now working to change all that. As the composer for the Temple Institute, he is attempting to bring back the Temple music, he told Breaking Israel News. Its loss, he revealed, was not a mistake, but intentional. 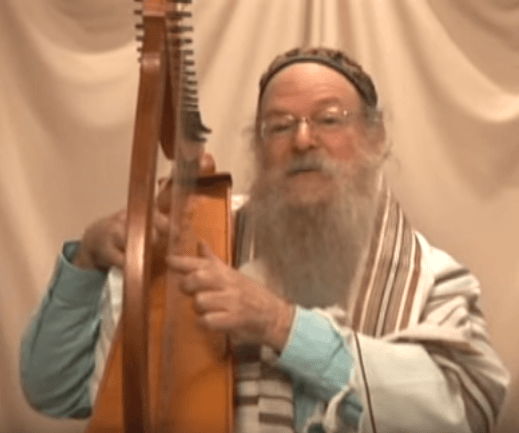 “The Gaon of Vilna (an 18th century Torah sage) said that the Temple music will be the last secret to be revealed before the Messiah, and we are almost there,” Rabbi Louis explained. “Prophecy is about to return, bringing music with it. The music exists and it is waiting for us to access it. Rabbi Louis sees prophecy as returning along with the music, explaining that we are already beginning that process. He described to Breaking Israel News the characteristics that make Temple Music unique. As a trained orchestral conductor, Rabbi Louis understands how difficult this is technically. After 2,000 years of musical exile, Rabbi Louis believes that what is lacking to bring back Temple music is simply a change in attitude, and to pick up our instruments and begin to play. So how will we know that the music that comes out will be the real Temple music? Rabbi Louis has no worries.